By car: At Barnton Junction, turn into Whitehouse Road and drive for about a mile. Take left turn into School Brae (by Cramond Post Office) and there will be a car park right at the end of this road. Alternatively, there is another car park behind Cramond Inn in Cramond village itself. 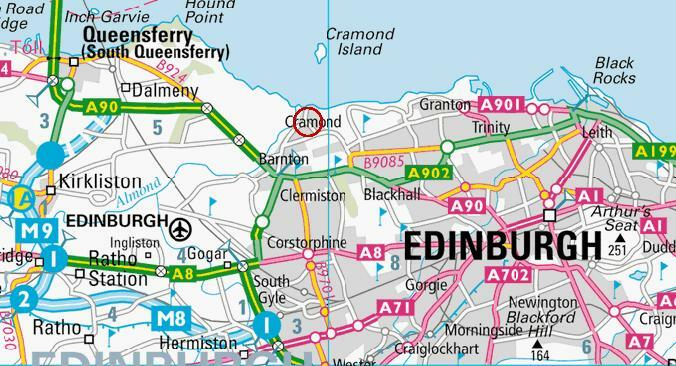 By bus: No 41 from Edinburgh city centre, tell the bus driver to stop at Cramond Post office. Bus number 64 from the airport to the Royal Infirmary also passes by Cramond. Beat 1 and 2 (Click on image to view the full size map). Image by Pete Hill. 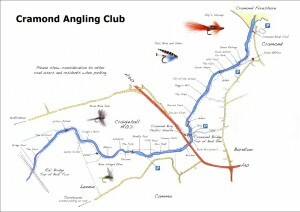 Fishing is allowed on the East bank of River Almond, from Cramond Brig till the river mouth where the Almond meets the Forth (includes the tidal stretch). There is a number of easy access points to the river. 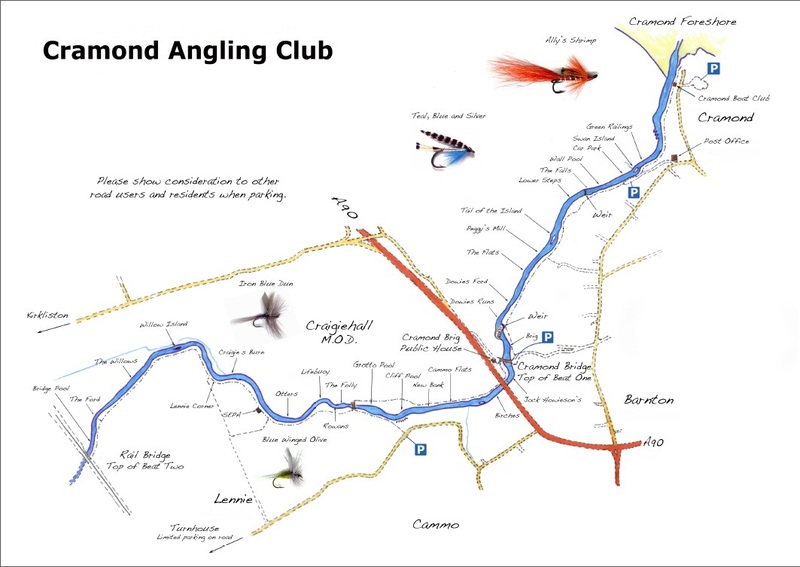 Visitors can either park their cars at Cramond Brig (access to the top of the beat), or at the School Brae car park (access to the middle beat) or at Cramond Inn to access the beat at the river mouth. Barracks. Then from 350 metres downstream from the Bridge, Left Bank only until the Old Cramond Brig. Beat 3 (Click on image to view the full size map). Image by Pete Hill.